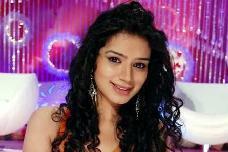 Talented and beautiful Sukirti Kandpal acted her way into the hearts of millions by portraying Dr. Riddhima Gupta in Star One's popular series Dill Mill Gayye. Since then the actress has come a long and today she is one of the most popular faces in the world of television. I am a very bubbly girl and love to live life to the fullest. And then at moments I am very mature. All I can say is that Sukirti is very fond of herself (smiles). Do you believe in arranged or love marriage? Well, I believe in love marriage. It is essential to get married to someone whom you admire and know in and out. However if you meet a nice guy then sometimes arranged marriages also work out (smiles). What is your relationship status? Are you married or not? I am very much single right now and definitely not married. Manvendra Singh Shekhawat is my ex-boyfriend and I know him since seven years. He's a dear friend and very close to me. And he is not married to me. Your have lots of fans. How do you handle fame? It's a compliment to hear that I have many fans. Fame I think is a by-product of my profession which is acting. So if I handle my profession well then fame automatically gets handled. Fame should be appreciated and enjoyed while its there. However when I meet people I meet them like a 23-year old girl minus the fame (smiles). You have played different characters in different shows. Which character is close to your heart and which show has given you utmost popularity? Pyaar Kii Ye Ek Kahaani has given me the opportunity to explore as an actor and has won me lots of recognition and fame. I am grateful to the show. However, I also loved Siddheshwari's character in Agle Janam as it was quite mindless, funny and very laid back. I loved Siddheshwari's attitude overall. How has it been working for Pyaar Kii Ye Ek Kahaani so far? It has been a lovely journey till date. I love my director Partho sir who makes each day on the sets a memorable one. I also love my co-actors. In fact I love everything about the show. What challenges do you face as an actor? Every character has its own sets of challenges. We challenge ourselves to act to the best of our abilities every single day on the sets. We try to give our best all the time sometimes even battling bad health. Everyday in the life of an actor is a challenge. It's not that difficult as I keep my personal and professional life separate. I rarely get time off considering my busy schedules. However, at times of leisure I love to spend time with my mother and my lovely pet dogs. I also like to go out shopping and watching nice movies. Right now I am concentrating only on Pyaar Kii Furthermore, I am looking forward to a nice and cosy holiday soon. In the future I intend to live life with happiness and I thank God for whatever he has given me. Well, my fans love me and I love them too. I thank them for appreciating my hard work. Sometimes I work all alone and wonder why? And when I see the love of my fans I know why. I thank all my fans and I love them all (smiles).